Map projection is the technique to portray round Earth on the flat surface. Let’s look at the technique and it’s significance. Here is the map as we normally see it. Look at the map for few seconds. Now, What’s the size of Africa? 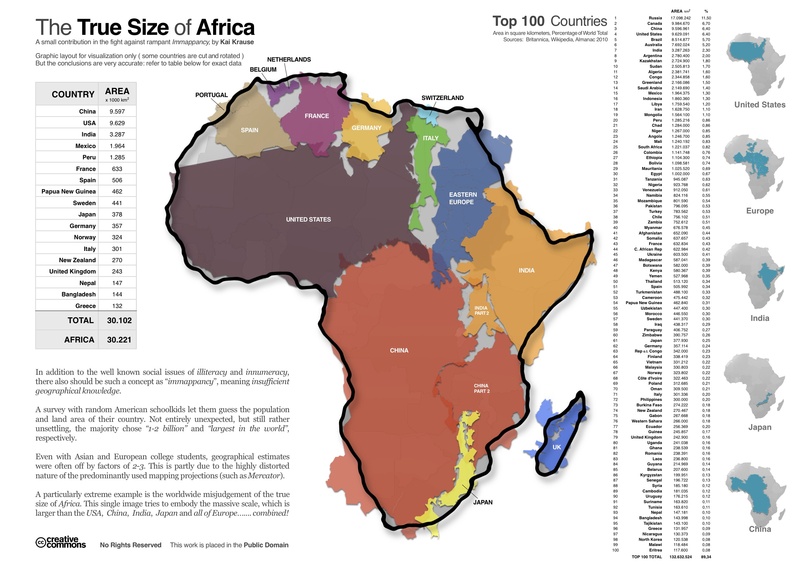 Is the size of Africa true in relation to the size of other countries in this flat map? We know that earth is a Sphere which is 3D. 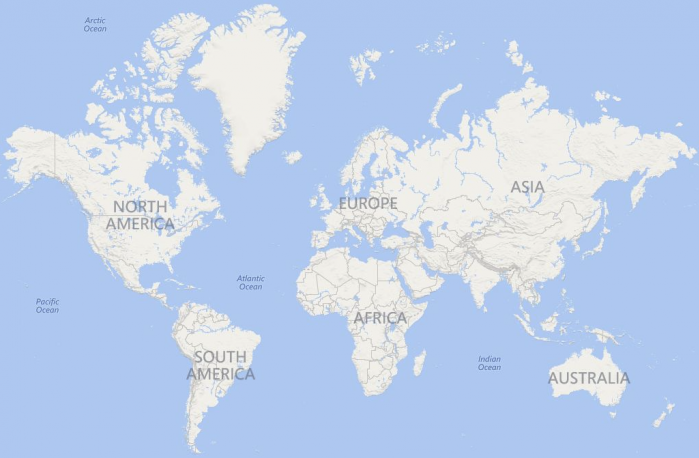 When we look at the map on a paper, we are actually looking at the projection of a 3D sphere on a 2D plane. But, can we truly represent 3D sphere to a 2D plane with out distortion? Unfortunately, the answer is no. There is no simple way to flatten out a spherical surface without stretching some parts of the surface more than others. Imagine when you try to flatten an orange peel without tearing and warping it. Let’s look at this video to see how the round Earth is projected on a flat plane. Every projection has its own set of advantages and disadvantages. There is no “best” projection. In the Mercator projection that we are looking out, the distortion increases as you move away from Equator and is extreme in polar regions. Now, what’s the size of Africa in relation to other countries? With maps and locations being more integrated into modern business activity, it is important to realize this abstraction behind the simple map the we see everyday. Have a look at the ancient maps to see how we humans tried to make sens of things around us.